Please select a size. EU 35 - Low StockEU 36 ½ - In StockEU 37 ½ - In StockEU 39 - In StockEU 40 - In StockEU 41 ½ - Low Stock Please select a size. 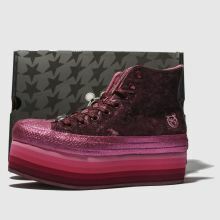 Raising the sneaker game once more, Converse team up with Miley Cyrus to deliver a collection with even more sass. 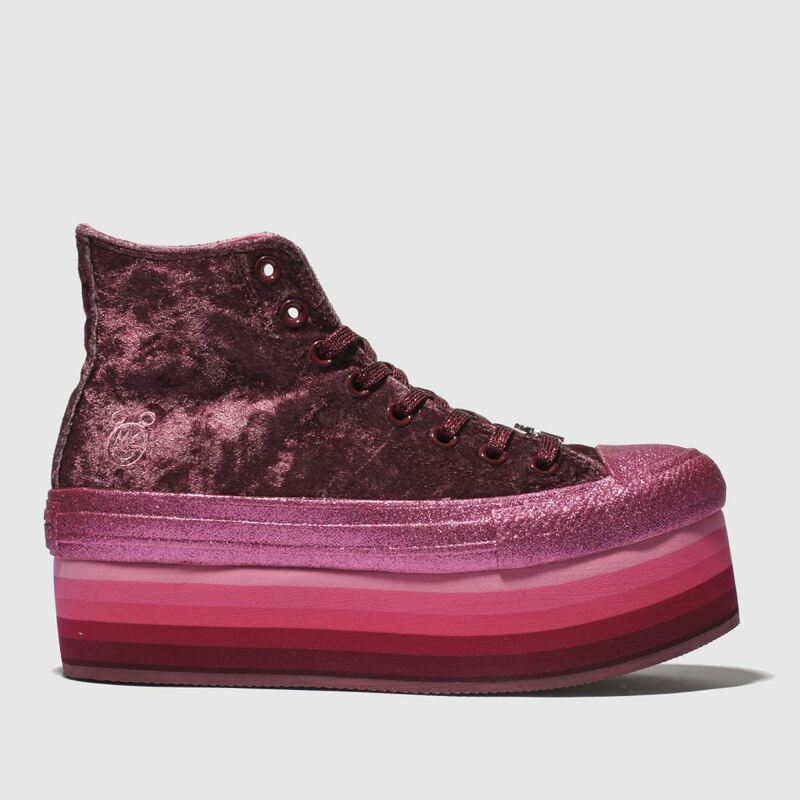 The statement Chuck Taylor All Star Platform Hi boasts a burgundy crushed velvet fabric upper, glitter sole and a 6cm stacked pink platform. Wednesday, 24 April 2019 - Friday, 26 April 2019 **** Subject to size availability.